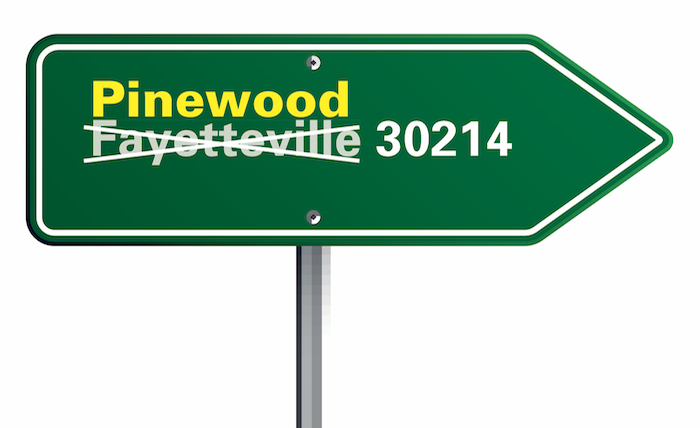 Pinewood Forest wants to change its mailing address to something other than Fayetteville. 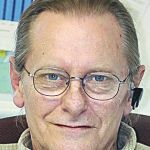 Company officials at the Aug. 2 meeting of the Fayetteville City Council agreed to consult with city staff to develop a strategy and assurances for having the 900 acres owned by Pinewood on Veterans Parkway have a mailing address of “Pinewood, Ga.” while maintaining the Fayetteville zip code. Pinewood Forest President Rob Parker speaks to the Fayetteville Council. Photo/Ben Nelms. Company President Rob Parker said the idea behind the move is to provide Pinewood Atlanta Studios and the Pinewood Forest mixed-use development with a marketing tool to attract “young creatives” to the area. Pinewood has hosted meetings of young creatives, with that group being asked if they would consider moving to the area. 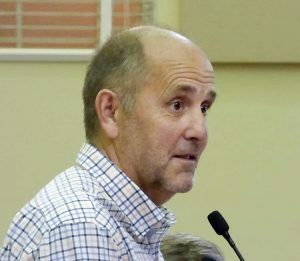 Parker said the interest in relocating was not significant, adding that the group’s perspectives might alter if such a place-making branding could be introduced. 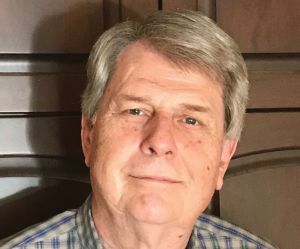 Pinewood Forest representative Rick Halbert said the Pinewood, Ga., designation would pertain to the 900 acres along Veterans Parkway under Pinewood ownership. Parker requested a letter to the postal service indicating that the city would not be opposed to the new designation. Fayetteville Mayor Ed Johnson. File photo. 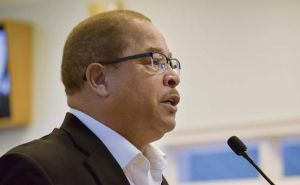 Mayor Ed Johnson said he had no major objections to the designation, adding that the council would want the assurance that Pinewood would not propose to de-annex in the next 10 years. Parker was asked by council members about any intention by Pinewood to seek to establish a city in west Fayetteville. City Manager Ray Gibson during the discussion noted that it requires the citizens of a given area to initiate establishing a new city. Fayetteville City Manager Ray Gibson. File photo. 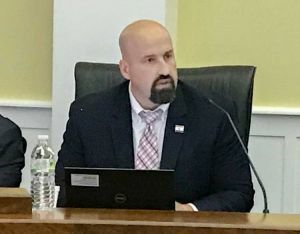 After the discussion, Parker agreed to work with City Manager Ray Gibson to develop a strategy to accomplish the request, along with reasonable assurances that Pinewood would not propose a de-annexation for the next 10 years. Fayetteville City Councilman Rich Hoffman. File photo. Councilman Rich Hoffman said he believed more people would be attracted to the city as more development occurs in the downtown area. Parker agreed, saying given the upcoming development, the Pinewood name in five years might not matter. Parker said the document he and Gibson will develop could include a statement saying that if the Pinewood, Ga. designation causes undue hardship it could revert back to a Fayetteville designation.